Eat, drink, talk, dance, share, party and celebrate with the hospitality industry. PX+ Festival is a weekend-long event for the people who dedicate their lives to the culinary experiences of others. Food, drink, celebration and collaboration. 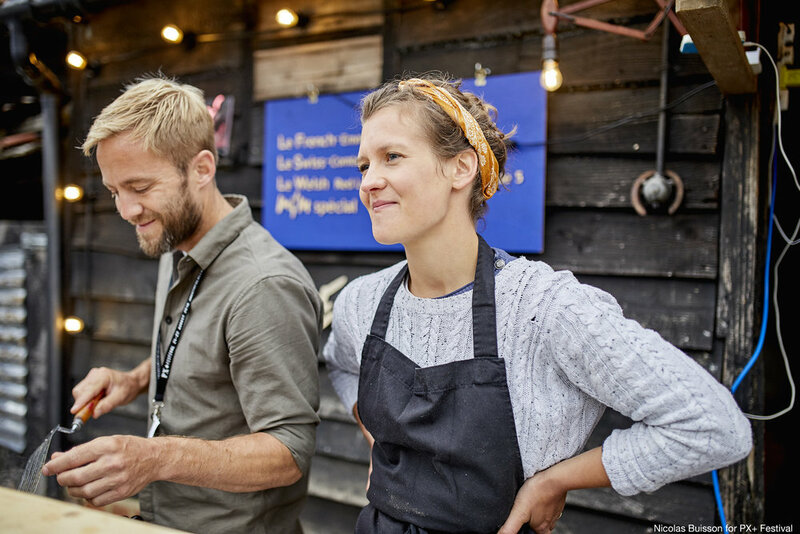 Over 200 headliners across 20 areas come together for an epic three day event for the hospitality industry to revel in food, drink, celebration and collaboration. Everyone is invited. We welcome headliners and guests from across the industry; the starred, the casual dining, the branded, the independents, the street food vendors, the suppliers, the producers and the farmers, the whole delicious melting pot of creative, talented, passionate people. An extraordinary line up of wine, sommeliers, cocktails, bars, bartenders, champagne, beer, brewers, tea, coffee and more all brought to you by an extremely talented mix of experts. Join discussions in the Lets Talk About It Barn, join thinkers, share thoughts and plan action. Hands on workshops with masters of their craft across Bakery, Bars and the Makers Shop. Prioritise yourself in the Rest + Rejuvenate tent for a dynamic yoga class and a massage. All to the soundtrack of live music, guest chef DJs and entertainment. Landscapes are changing all around us: food, society, economics, climates – if we don’t stop and discuss what direction our industry should take, and how, and why, we risk the change happening to us, rather than being the drivers of the future of our own industry. PX+ is a hospitality community that supports rather than competes with others. Together we need to improve and we need to change the way we do things. Our festival is your festival. Shape it, share it with us and take what you want from it. You are our Personne eXtraordinaire for the weekend. You are our Personne eXtraordinaire. PX+ Festival has been created by a team of talented hospitality people who share a love for the industry. Our aim is to celebrate all the hard work that goes into making hospitality so hospitable and give a smidgen of that back to the people that spend their lives creating amazing experiences for others.